Industrial floors colored, densified and polished. 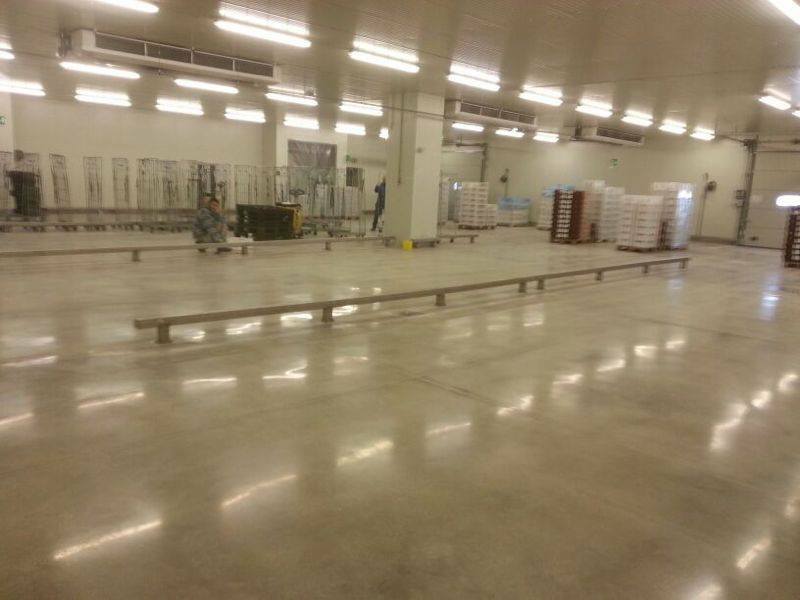 Industrial polished concrete floors concrete grinding is very beneficial to all industrial facilities. It fully planes the surface, making the moving of goods a smooth experience. This increases safety and protects valuable assets including the health of your employees. Over the last decade or so the grinding and polishing with concrete grinding machines has increasingly replaced the use of sandblasting and scarifying machines. The big advantage of modern concrete grinding equiment over other equipment is it’s ability to plane and smooth floor surfaces faster and more effectively. Without leaving the marks left by shotblasting and scarifying machines. And after grinding and polishing are completed floors do not need any additional coatings. This reduces considerably the down time in production facilities and the associated cost. Which most likely exceeds considerably the cost of the floor treatment. 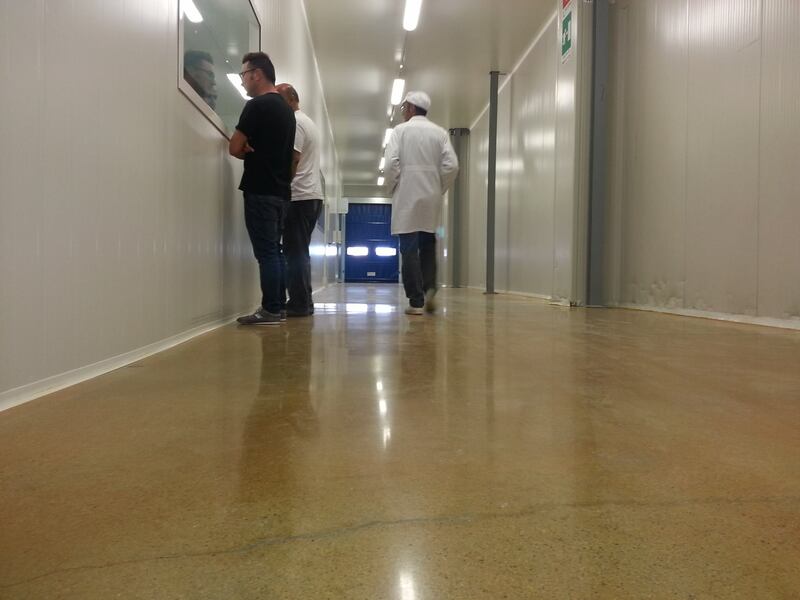 Polishing industral concrete floors will eliminate the dust generated by all the movement that takes place within a production facility of any kind. Especially a concern in high tech companies, pharmaceutical facilities, food production factories and other industrial production area. Eliminating dust is of ever increasing importance for the protection of employees health and safety. 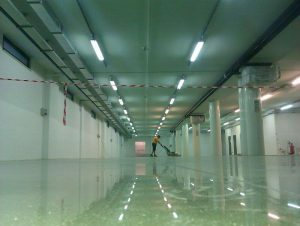 Polished concrete floors are almost free from static discharges an important concern wherever electrical and electronic manufacturing takes place. Industrial concrete floors that are polished are also easy and economical to maintain with minimal effort and lower cost. Cleaning of polished concrete floors will be easy to accomplish and considerably lower cost of cleaning services. 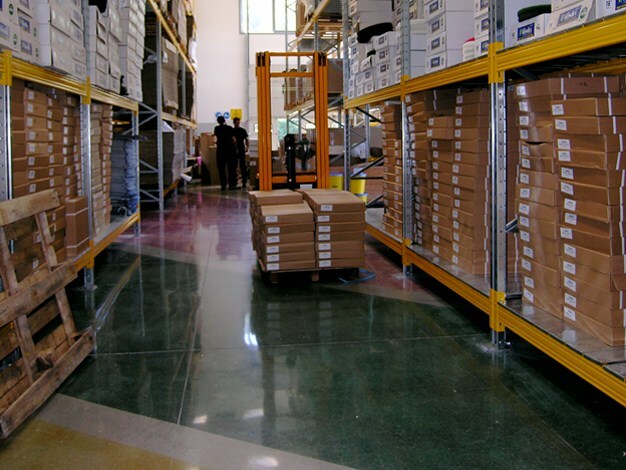 On a polished concrete surface forklifts and other vehicles will no longer leave the dreaded black rubber marks. A considerble astetic and hygiene benefit deliverd through this modern floor treatment system with the added lower maintenance and cleaning cost. Industrial concrete floors treated with the proven SuperConcrete system developed by klindex are a must in this day and age. A modern, effective, fast and economical system that will bring considerable gain where ever it has been applied. Industrial polished concrete is the new standard in industrial floor restoration for all quality and cost conscious companies in the 21st century. For a free consultation please fill in the contact form below and we will be happy to be of service.